Student annuals that showcase social, athletic, musical, and academic experiences, and the traditions of the college serve as a means of remembrance and reflection on lives and friendships during college years. 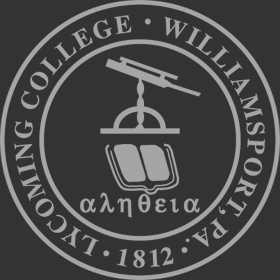 The student annuals of our institution have been published since the early 1920's, and have now been digitized and are shared online as another way of communicating Lycoming College's history. Individual volumes of The Dart and The Arrow have been digitized and are available in the Internet Archive. They can be accessed from the links below. This digitized collection of student annuals begins with the first volume of The Dart published in 1923 by a student editorial staff of the Williamsport Dickinson Seminary, with assistance from the Art Department and Williamsport Printing and Binding Company. That year marked John W. Long's first as the president of the seminary, and the seventy-fifth anniversary of the institution. When the institution transitioned from a college preparatory school to a junior college and preparatory school in 1928, and the first fully-accredited Junior College in 1935, The Dart was retained as the yearbook's title. The Dart 1947 is the last with the institution's name as Dickinson Junior College. The Dart 1948, is the one and only volume to bear the institution's new name, Lycoming College. This volume is also unique in that it features the last classes to graduate from both the Williamsport Dickinson Seminary, and Williamsport Dickinson Junior College. The 1949 edition of The Arrow was the first published under the annual's new name, and the first published by a senior class of Lycoming College. According to the March 23, 1949 issue of The Lycourier, the name was chosen to blend with the Indian theme of the new names of the college and its athletic teams. Use the search box at the right to find topics of interest, e.g. student or faculty names, towns, etc. Please be aware that any form of the word will be retrieved. For example searching band will retrieve items not just the single word, but also husband and bandshell. It does not search phrases.